Andrew Dixon & Company was established In 1987 by brothers Andrew and Nicholas Dixon, both Chartered Surveyors practising in the specialist area of commercial property consultancy. An indigenous Telford company, we have from the early days advised the town's premier property owners, occupiers and developers and flourished alongside the growth of the embryonic New Town to today's dynamic first class business location. 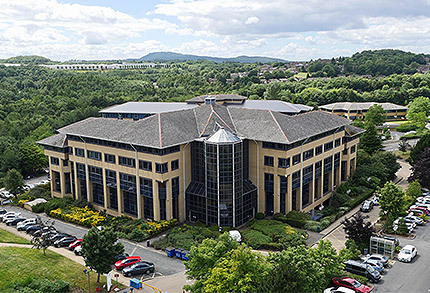 The commercial property market in Telford is dominated by the effects of a planned new town and Enterprise Zone investment, and the company's outstanding knowledge base, combined with a proactive approach, enables us to give advice of unparalleled quality. We have been instrumental as letting agents on all the Enterprise Zone office schemes throughout Telford, and representing Telford's largest industrial landlords, we combine elements of straightforward practical advice and in depth knowledge of the property market to give quality and timely advice to owners and occupiers alike. Whether identifying development potential for residential or commercial development, or handling straightforward property management issues, Andrew Dixon & Company will always strive to satisfy the client's aspirations. We are the Telford home town team, providing a one-stop centre for all aspects of property advice needed by the local business community. Our client list is extensive, and high priority is given to creating long-term links for repeat business. It is important to Andrew Dixon & Company to maintain and expand these strong ties to help Telford prosper. Our full range of services is available in respect of individual properties and large portfolios alike. We at Andrew Dixon & Company are only too pleased to help, and have the expertise available within the company to assist with any particular matter, however large or small. For details on how to contact us or find our location, please see our Contact page. A core part of our business is carrying out property and land valuations. These are required for various reasons such as pension funds, probate, tax and private purposes. We are panel valuers for several major banks and valuations are prepared by our fully qualified RICS Registered Valuers with many years experience.